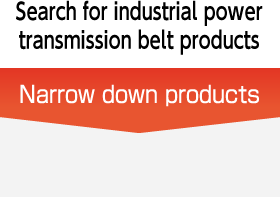 Search for industrial power transmission belt products | Bando Chemical Industries, Ltd. Narrow down products from the search conditions on the left. *Automatically displayed when you enter the outside pitch diameter and rpm of the driving pulley. *To further narrow down the products, enter either of the following.